Pictured: Ciara Meehan, curator of Modern Wife, Modern Life. A new exhibition had its debut in the National Print Museum at Beggars Bush Barracks on July 1st and will be running up to August 30th. Modern Wife, Modern Life explores the representations and expectations of Irish women through the pages of women’s magazines through the 1960s. The exhibition is curated by Dr. Ciara Meehan, a lecturer in twentieth century history from the University of Hertfordshire in the UK. She is also the author of The Cosgrave Party: a History of Cumann na nGaedheal, 1923-33, and A Just Society for Ireland? 1964-87. The main concept behind the exhibition is to display how women’s magazines essentially became the new marriage manuals of the 1960s. In the early part of the twentieth century it was common practice for a woman to buy or to be the recipient of a marriage manual as a present, with many examples on show in the National Print Museum. The exhibition examines the expectations of ordinary Irish women during this time period, and how innovative new magazines such as Woman’s Way, Woman’s Choice and Woman’s View promoted new expectations, causing women to re-evaluate their role in Irish society. 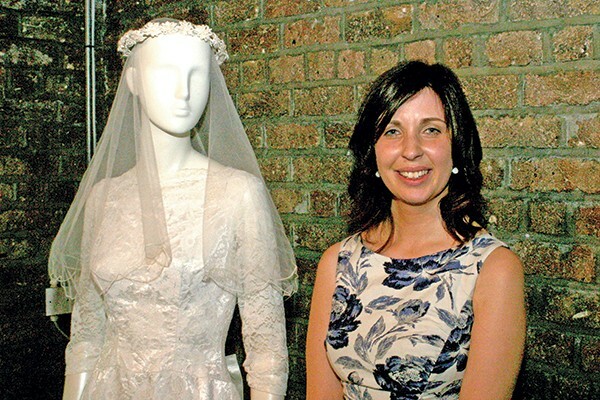 The idea for the project came about somewhat accidentally, as Ciara Meehan recalled for NewsFour how, years before, she had come across a copy of The Young Wife magazine in her parents’ attic. The copy was dated from 1938 and had belonged to her grandmother, Annie Meehan, and this led her inner historian to question the link in women’s cultural trends from the 1930s to the decade of change that was the 1960s. The exhibition covers seven themes: print culture, advice for the newly-married wife, beauty and presentation, the housewife of the year competition, new technologies in the home, women behind the wheel, and wives who work. The main features on view for the public are magazines, advertisements, advice columns, recipe books, sewing machines from that period and much more. All of the magazines are shelved in the National Library of Ireland, and Ciara was given special permission by Áine Toner, current editor of Woman’s Way, to reproduce the images for the exhibition. “I’d like the exhibition to start a conversation about the position of women in society, how it’s changed and how it’s stayed the same. It’s really about looking at this decade of change in Ireland,” Meehan continued. After its run in Beggars Bush, the exhibition will go on tour to the Lexicon Library in Dun Laoghaire, and then on to the UK, where Ciara hopes that it will be displayed in galleries including cities such as London, Manchester and Liverpool, hoping for the support of Irish communities who may have lived through the transition that the project intends to depict.